WordPress is all the craze nowadays. It is one of those content management systems that stirred a buzz in the digital world because of its features and the simplicity thus providing a better online experience for businesses and personal ventures alike. But what makes WordPress specially unique is all down to its features. There are countless themes, lots of extensions and plugins for almost everything you want to get done. Like Apple used to say for the iPhone, there’s an app for that. WordPress is quite similar, there is a plugin for that. In this article, we’ll highlight some of the most essential WordPress plugins for blogs you’d need. You can use them either for a professional blog, or a personal blog. Nonetheless, they’re guaranteed to serve their purpose. See: Why New Plugins Fail – Is The WordPress Community To Blame? Everyone of us hates spam, let’s be honest, it makes the experience all the worse in a place where there should be no spam. No spam is good spam and this WordPress blog plugin should be one the first plugins for blogs you should be get. It’s free too so waste no time in downloading it. 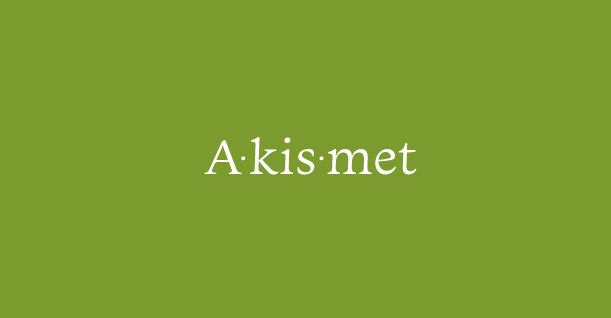 Akismet plugin gets rid of spamous comments and also deletes them itself so you don’t have to indulge yourself or waste your time in deleting them one by one. If you don’t want to go through the hassle of creating different types of forms for your blog, then Contact Form 7 is one of the best WordPress plugins for blogs you can get. It beats the need to know any sort of coding so you can just download this nifty WordPress plugin and get to your stuff of creating forms. All you have to do is name your forms and the questions you want to put in. You can even customize them the way you want without having to know any coding. Security is a must when it comes to blogger plugins. As much as the platform itself is secure, it is sometimes prone to attacks from hackers, trying to steal your data and maybe even more. To avoid this sort of calamity, it is important that you install a WordPress blog plugin called Wordfence. With Wordfence plugin, you can block threats like malicious software, networks and other common threats that make your WordPress website vulnerable for data theft. It is one of the most popular WordPress plugins for blogs because of its features like malware scanning, an active firewall that does a good job of keeping threats at bay and login limitations for rock solid stability. Search engine optimization (SEO) is a big deal when it comes to blogger plugins. There are hundreds of tutorials and websites that emphasize on it’s importance to make sure that you really do exist in the eyes of the world. SEO is still one of the most important aspects of a blog. When content becomes a hassle, you can use Yoast SEO plugin to speed things up. This WordPress blog plugin will help you dive deep into your content and tell you what’s wrong with it and how you should correct it for the best SEO practices. Being one of the best SEO plugins for WordPress, you get a solid toolset that’s designed to give you the best SEO content analysis, optimization for your blogs, redirect manager, bug reports and so much more. You have to check it out to see the full list of features. There are things that really put a visitor off; blurry and bad thumbnails on a blog. Thankfully for this common issue, there is a WordPress blog plugin called Regenerate Thumbnails for WordPress and it does exactly what the name suggests. Once you install this Regenrate Thumnails, it assures that your images are not only loading properly with every page refresh, but are also blur free. Good images have a way of convincing visitors that the blog puts in effort when it comes to serving content. It also contributes towards a more seamless and better online experience. Cache has a tendency to slow down any website, including blogs. Cache is a nuisance that has plagued WordPress since ages and it is a hassle to address this issue over and over again. It takes time and effort. But what if there was a WordPress blog plugin that did all that automatically? Well, WP Super Cache is one of the very best blog plugins you can get for WordPress. All you have to do is to install and activate it after checking a few boxes. No more cache cleaning or worrying about your blog facing speed and stability issues. Get this awesome plugin now. WordPress is quite prone to unforeseen errors. One of the most common one that WordPress users face regularly is the 404 error. It is an error caused due to mistyping an address mostly. You have encountered those during your journey through WordPress but it is not something difficult. For this, the 404 Redirect to Homepage WordPress blog plugin does wonders. If any user encounters this common error, (s)he is automatically redirected towards the homepage instead of a blank screen. This not only helps redirect users on the homepage they might have selected, but also prevents them from having a bad online experience overall. Ever wondered if there would be a hassle to add social sharing buttons within your blog? Worry no more because as usual, there is a plugin for that. Get Simple Social Share plugin for your blog without the need to add extra coding. You can get this easy-to-install WordPress plugin online for free and the best thing is, it is extremely simple to use. Whenever a visitor wants to visit your social media page, they just need to click on the relevant button and viola! This not only helps increase blog visibility but also helps share content to others too. Have you noticed the orange bar on blogs that sometimes asks for your email address for subscriptions? That is the hello bar that is usually found on a number of websites, including Cloudways. It is one of the best WordPress plugins for blogs, ideal for collecting email addresses for later purposes like emailing offers, keeping in touch with loyals and most of all, sharing content. It is a great tool that helps bridge the gap between visitors and blogs for a more personal touch. Helklo Bar is a great plugin for WordPress users because as you run a blog, you would want more and more visitors and through this, you can collect emails and later send them one email with instructions to view your content.. You can also cater to people according to what interests them. Making it easy for your visitors to share content at the click of a button is an amazing addition to any blog. Thankfully, WordPress offers this convenience through a plugin designed to help tweet content links on blogs. The Click to Tweet blogger plugin allows you to share content with a click of a button. You can create custom tweet boxes on blog posts that make the content look attractive as well add the functionality to share it through a tweet. It is a handy plugin for WordPress that every blogger must have. The best thing about this wonderful WordPress plugin is that it will not slow down or hamper your blog’s performance. Have you ever wanted to put an email signup box somewhere on your home screen but did not know how to? This WordPress blog plugin by the name of Plug Matter will help you do just that. Plug Matter is a paid plugin but necessary for WordPress bloggers to help add a customized email signup box on their homepages. All you need to do is to copy and paste a small code at the end of your header.php file and you’re good to go. You can start customizing your very own email signup box in no time and make your WordPress homepage blog stand out. Ever wanted to grab contacts and email addresses from visitors? This is one of those blogger plugins that will help you do just that. The Many Contacts Plugin sits on top of your homepage and monitors contacts when they visit your blog. In return, whenever visitors come onto your blog, this handy plugin grabs their contact or email address and saves it for your reference. It is a responsive WordPress blog plugin which means it is easily configurable for a variety of platforms. You can generate custom forms of your choice, check email subscriptions and get information about your visitors in detail. Grab Many Contacts Bar plugin to know more about your contacts and get your conversions into high gear. Tracking visitors is one of the best ways to understand where your audience comes from and what sort of content you can develop for them. When you know the insights, it is easier to capitalize on things that make your blog a real standout. With more than 2 million downloads, Google Analytics by Yoast is one of the most downloaded blogger plugins in the WordPress landscape. Simple installation and seamless integration helps make this WordPress blog plugin one of the most popular as well. Track insights in detail, know where your audience comes from and track outbound and inbound links and reveal demographics for a more thorough understanding of your audience. It is essential and vital for any blog on the WordPress platform. Have you ever thought about your WordPress enabled website or blog bogged down because of cache? Did you know that a slower website has no right to be on the digital space? Since WordPress is such a vast platform, there are plugins for almost every problem you might face. One of the most incredible WordPress plugins is called W3 Total Cache, which prevents excess cache build up which could contribute towards preventing WordPress enabled websites and blogs from slowing down and ruining the online experience for visitors. WordPress itself being quite secure, still needs a little extra security measures to ensure fool proof safety for a better online experience. In this case, it is always better to be safe than sorry when it comes to this amazing platform. The All in One WP Security and Firewall is an awesome WordPress blog plugin that delivers on both ends as one of the most complete plugins for WordPress security. Take your WordPress security to the next level with this plugin because it is not only regularly updated, but also reduces the risk of vulnerabilities by enforcing tough security protocols through modern techniques. This ensures superior safety and threat prevention. In addition, this plugin also protects against Brute Force Login Attacks and monitors failed and multiple login attempts to know what is happening behind the scenes of your WordPress blog. Including this plugin is an asset towards ensuring safety of your precious web space. Jetpack is one of the most feature-rich plugins ever developed for WordPress. It is a relatively small WordPress blog plugin with more than 30 features integrated in it. With Jetpack, you have tools like contact form building, related posts, several sharing tools, social media plugins, single sign-in forms and address collection tools to help you reap the best out of WordPress. One of the most popular features in Jetpack is its analytics reporting. You get very detailed analytics with this tool straight from your WordPress dashboard without logging into other places that might compromise your data and blog security. This is one for looks and customization but not that essential if you are not into developing anything unique. But choosing WordPress for only its functionality and not its ability to offer customization is pointless so we included this in our list. With this WordPress blog plugin, you can develop your very own customized login page with your choice of image. It offers a great way of enhancing the overall feel of your WordPress site and it offers great customization opportunities as well. We suggest including Custom Login in your list if you have a blog that has its own identity. Logging into and out of your admin panel with this is a treat. With this list of the most essential WordPress plugins, we looked deep into the benefits of customization and came out with a selection of plugins that are guaranteed to deliver both on form and function. Using the above mentioned plugins is your choice and while some, paid, the free ones also offer similar features but might compromise on stability. The rule of thumb is to try and see whichever works best for you in terms of your requirements. If however, you think there are other plugins for WordPress worth mentioning, please tell us about them along with the reason you think that are good for our list of the most essential WordPress plugins for a blog. We would love to know your opinion in the comments box below. Also do check out this list of Powerful Resources & Plugins to Help You Monitor Your WordPress Website’s Uptime.